Greetings, wonderful blog readers. You may remember that in part one of this post, I left you all on a bit of a cliffhanger, after trying to figure out what the names we assign various genres mean and how all of those genres make me feel. I've decided to address this question by picking out books from different genres, each of which I gave five stars on GoodReads. 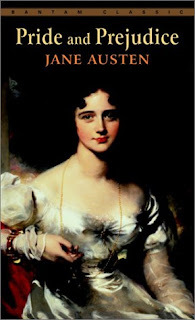 Pride and Prejudice questions the social norms of the time period its set in, but also pokes fun at several of its own characters, and provides a swoon worthy male character who is half of a very romantic love story. The last few chapters always leave me weeping. Incidentally, Bridget Jones's Diary by Helen Fielding is also on my list of five star books I'm mentioning on this post. I realize you all are probably thinking that it's only there because it's a re-telling of Pride and Prejudice, and that is true to an extent. However, Bridget and the situations she finds herself in leave me laughing out loud, and sometimes that’s exactly what I need. This novel is my idea of fluff--the writing style and content is fairly light-hearted and it's a fun read. Extremely Loud and Incredibly Close is a book which falls under that tricky category of literary fiction. This book is honestly an incredibly moving story of loss. What I loved most about this story was Oskar, the narrator, a nine year old boy, who is a fantastic blend of honest and humorous. 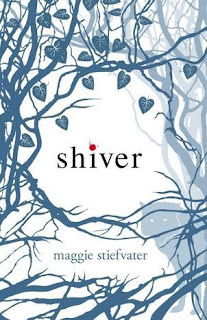 Next up is Shiver, which I didn't expect to love, but it might just have stolen the spot of my favorite book of 2010. 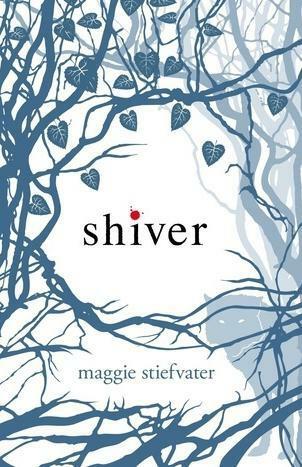 Stiefvater's writing is beautiful and poetic, and I was completely drawn into the love story between Grace and Sam. I also adored Sam as a character. And lastly, we have The Hunger Games. If you haven't read this book, let me assure you that it is pretty much impossible to put down. I was also impressed by the comparisons Collins drew to our own society. There’s a wide variety of plots, styles of writing and character relationships that can draw me into a story. When I set out to create this post, I thought now would be the time for a paragraph about how a good story is one that can offer an emotional connection to the reader, regardless of its genre. A story doesn’t need to be a classic or young adult or fit any other parameter that would put it in such a category to amuse me. However, earlier I was thinking about Oprah’s interview with J.K. Rowling, wherein Rowling discussed how important love is both in her novels and to her personally, and I think that the books I love often have something more complex than the odd emotional connection. For me, an emotional connection can be something as simple as relating to what a character is feeling. Even if this happens while I’m reading a book, it doesn’t necessarily mean that I will love the novel overall. Maybe I’ll think the plot was ridiculous and go, “Great characters but explain why that happened.” For me, a good example of this is actually the Series of Unfortunate Events series by Lemony Snicket. I found the Baudelaire orphans to be extremely charming and entertaining characters, but at the end of the series I sound myself questioning the feasibility of the story’s end. I’ve also been thinking a lot about an author video which got me really excited for an upcoming novel, namely Between Shades of Gray by Ruta Sepetys. Sepetys talks about how important love and hope are in situations where otherwise it’s hard to find a reason to stay alive. I have a feeling I’ll really like her book. At this point, it dawned on me that love is a major theme in a lot of the books I love, whether it’s Katniss’s love of Prim, Oskar’s love of his father, Sam’s love of Grace or Frodo’s love of the Shire. I feel that love in these cases plays a serious role in the story and isn’t something fleeting, but is a lasting emotion that stays with the characters, bringing them joy in some cases and haunting them in others, or perhaps a mixture of the two. While I do enjoy a good romance, the emotion of love can also apply to how one feels about family and place, and I believe that most people experience these feelings at some point in their lives (or at least, I hope so). So yes, I consider love a pretty universal emotion. I’d also like to add that I know that tons and tons of books incorporate love in some form, but I’m thinking of books where I think it’s one of the major themes. Furthermore, all of this also indicates that I am drawn to strong and passionate characters, and to that allegation I say, "Most definitely." There is no one thing that will cause me to fall head over heels in love with a book. Sure, there are little things that always cause a fist pump, such as a character who loves to read, or a story that’s set in Maine. However, I think it would be untrue to say that the books on my favorite shelves have nothing in common. Clearly I really enjoy certain themes broad themes, when I think they are done well and nicely woven into a story. Every book and genre that I love makes me feel differently and for the most part, that is a diverse array of books. While I will try just about anything once, I think it’s hard for me and other bloggers to deny a certain bias towards stronger themes. Perhaps if you want me to feel strongly about a book, throw a novel with some strong feelings my way and see what happens.